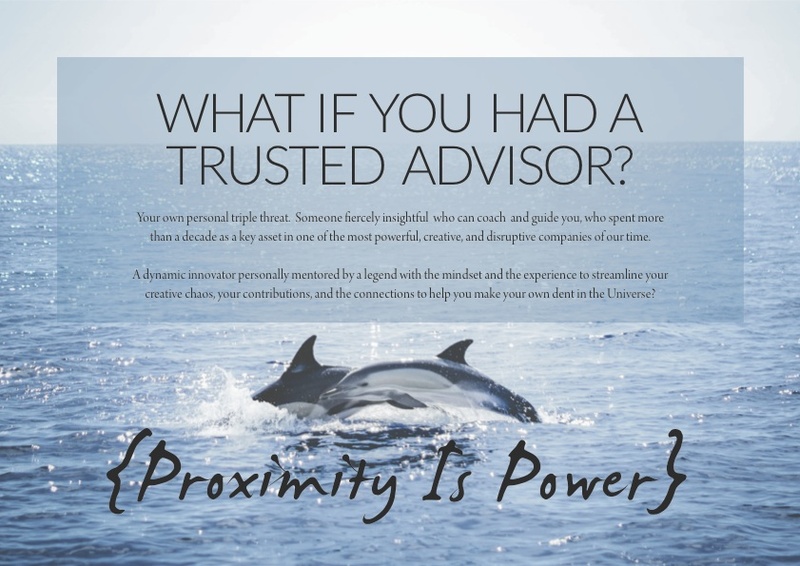 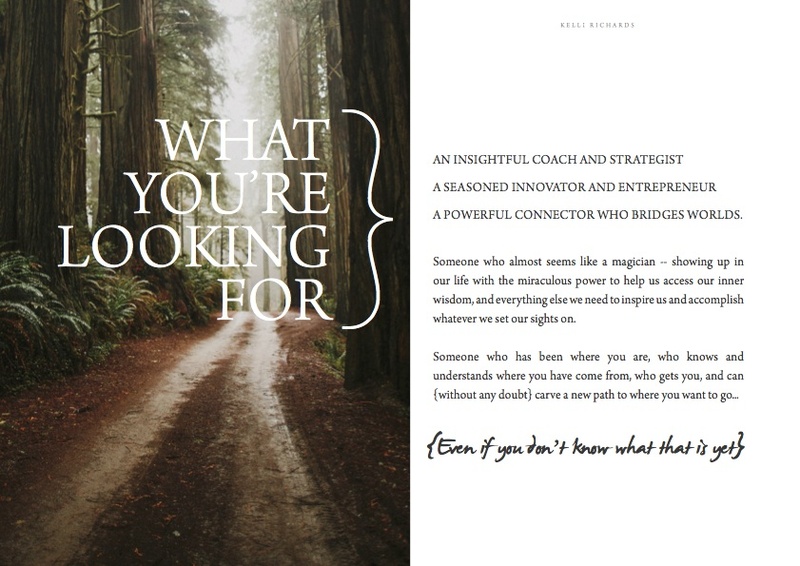 Trusted Advisor to Entrepreneurs and Innovators, and Rockstars and Creatives who have a bent for changing the world. 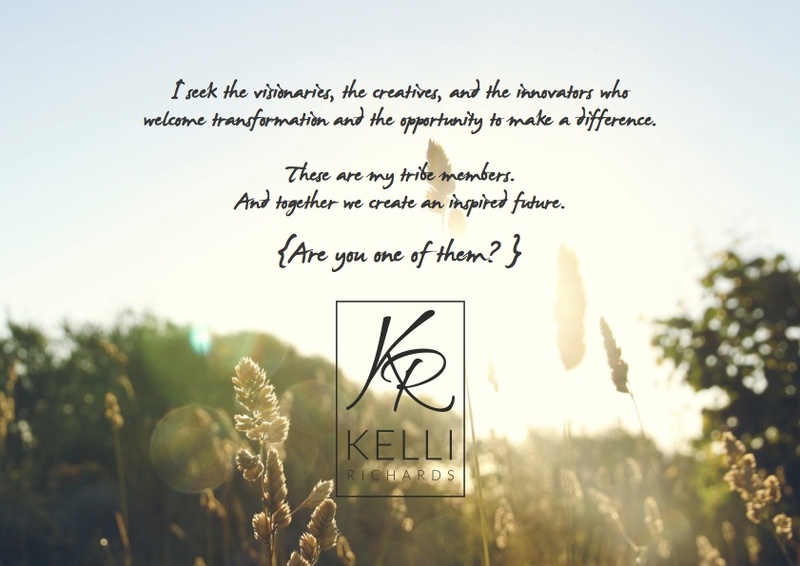 Kelli needed a highly aesthetic, artistic and elegant marketing piece to attract affluent and established celebrities and business people for her trusted advisor service. 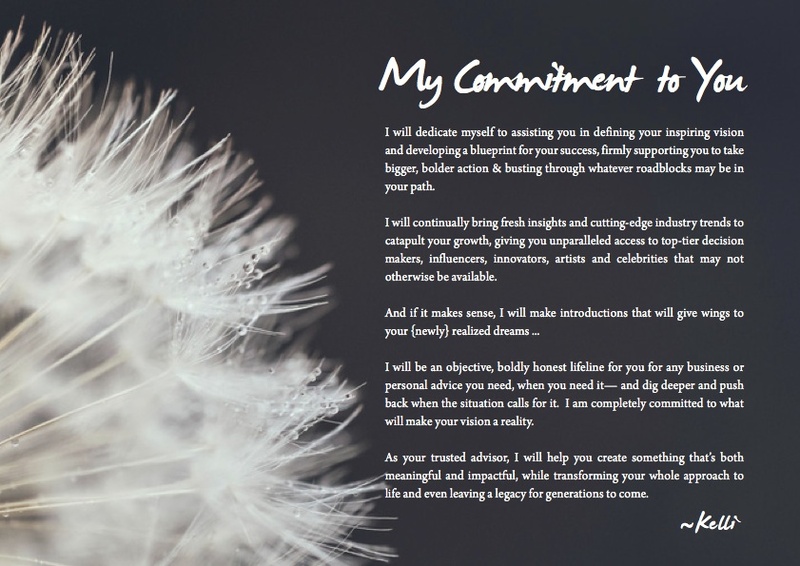 We combed through her many pages of information and distilled it to its core, then applied a personality profile we developed through our engagement with her and research on her target market. 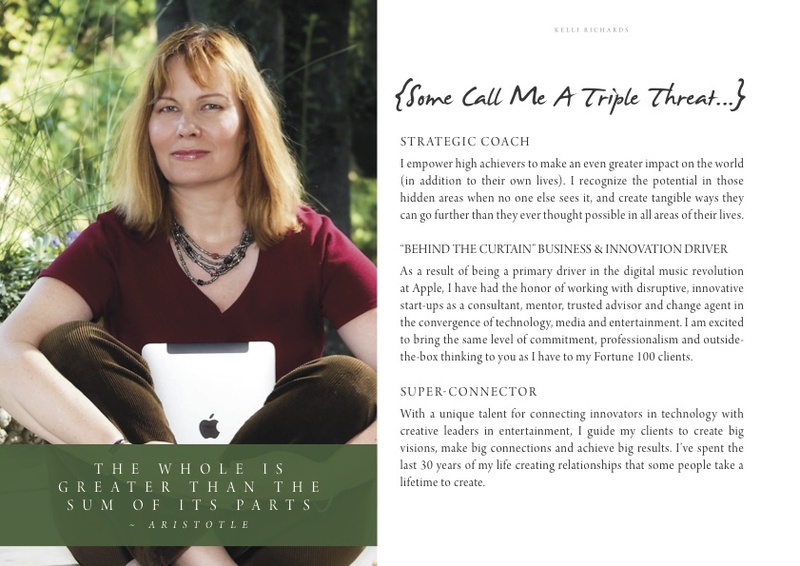 What emerged was a visually engaging brochure that tied all these elements together in the form of a story that her target market would align with.